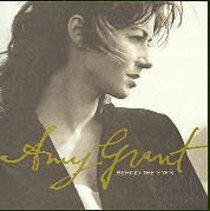 Hear the most vulnerable musical thoughts from Christian musics most lovedperformer, Amy Grant. This album is a journal set in song, crafted on theresonant wood and wound steel of Amys favourite guitar, telling the truthaboutthe most reflective season of her life. From Word.Amy GrantA journal set in song, crafted on the resonant wood and wound steel of Amysfavourite guitar. From Word.